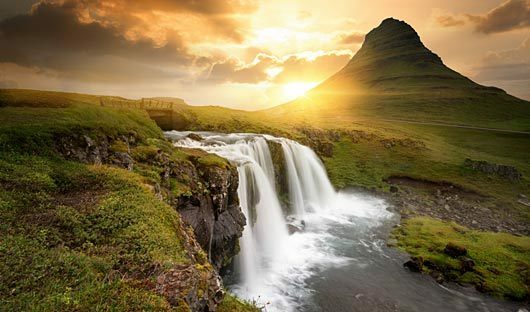 Whilst dwarfed by it’s northern neighbour Iceland offers a great contrast with volcanoes, geysers, hot springs and lava fields. Massive glaciers are protected in Vatnajökull and Snæfellsjökull national parks. Iceland’s bird life is excellent, being a little further south than Greenland, there is greater variety of seabirds including large colonies of puffins. Iceland shares its Viking history with southern Greenland. 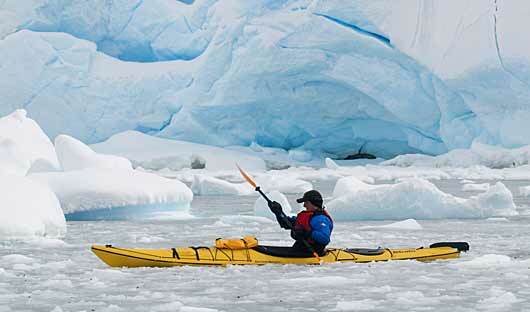 Uncharted fjords, glaciers, towering mountains and icebergs are the backdrop for your adventure in East Greenland. This area is great for hiking to elevated points with excellent views of the fjords below. 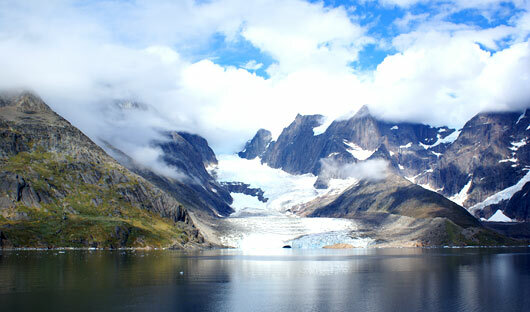 Glaciers, ice flows, mountains, remote villages, sea birds and whales are what you can expect in West Greenland. 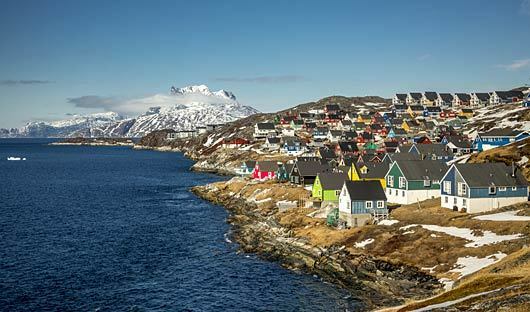 Some of the most remote villages on earth dot the west Greenland coastline and are stepped in tradition. 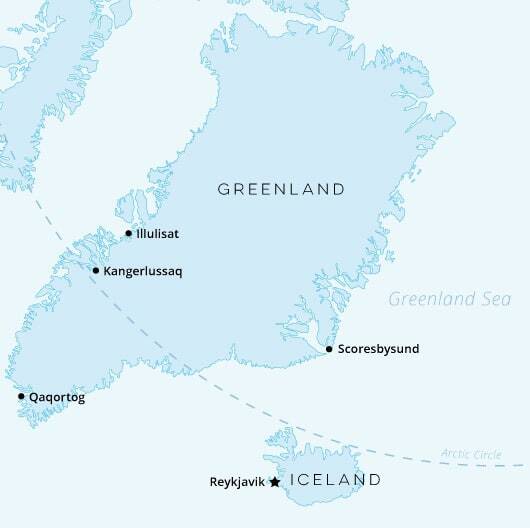 As Greenland is covered by an icecap, Inuit villages are only accessible by sea or sled. Filled with culture and smiling faces, the Inuit communities share their way of life with visitors happily inviting guests to try local delicacies such as seal, whale and puffin and taste the water from natural springs. With dramatic mountainous backdrops and colourful houses these villages offer some incredible photographic opportunities. As you walk through the streets you will hear the sled dogs howling to each other awaiting their next sled adventure with great anticipation. 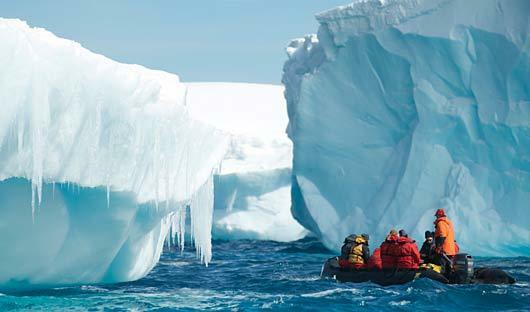 Greenland boasts many exceptional glaciers and ice flows. 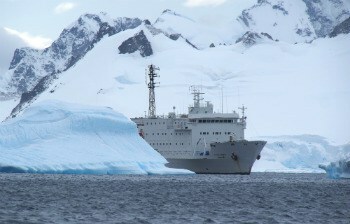 The Ilulissat Glacier, a UNESCO site located on the west coast of Greenland, is believed to be the birthplace of the iceberg that sank the Titanic. 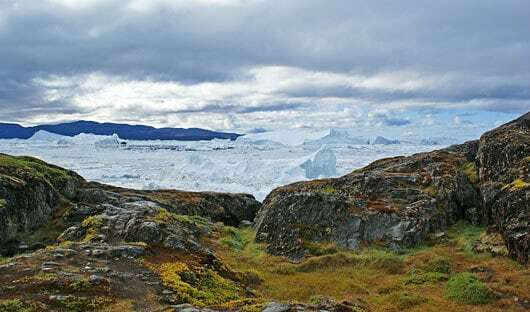 The glaciers and ice flows of Greenland are so enormous they dwarf the visiting ships, and guests often have the opportunity to hike up beside the glaciers to appreciate the spectacular views. Although they can be a bit shy, there are 15 species of whales that are found in the waters surrounding Greenland. Regular visitors in summer include the humpback, minke and fin whale. Some sites don’t lend themselves to a physical landing or may be best seen from water level. 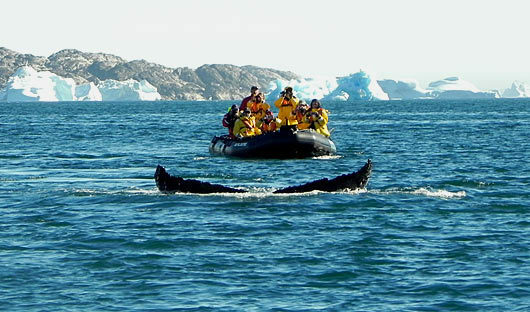 Zodiacs (rubber inflatable boats) offer a safe way to explore and are an integral part of any day in Greenland. Due to limited numbers please request your kayaking at time of booking your voyage. 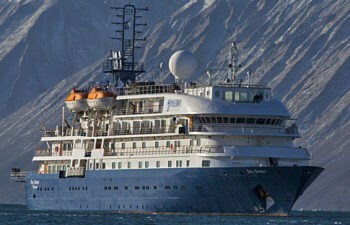 Call us today to discuss your holiday to Greenland & Iceland.